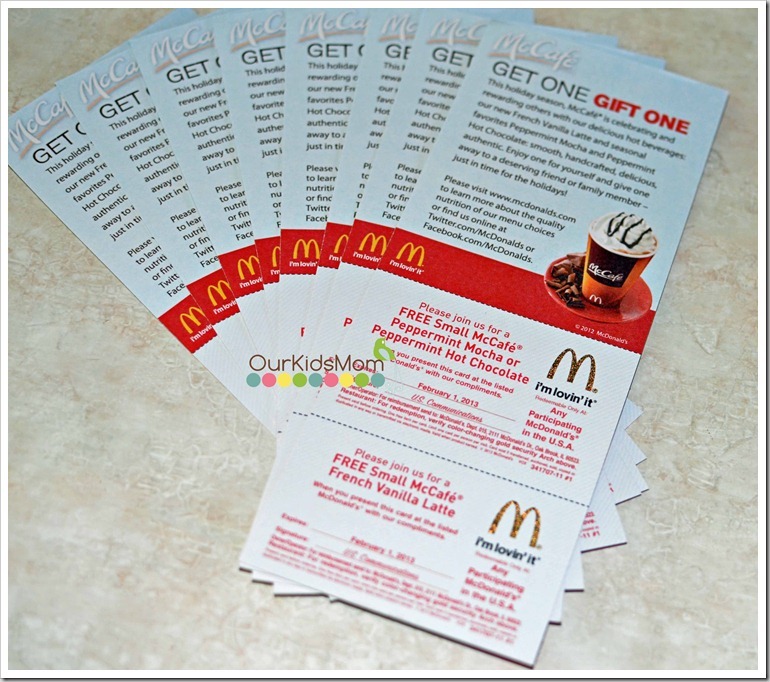 I received a surprise in the mail the other day… an envelope full of FREE McCafe coupons! Imagine my surprise! Then imagine my reaction when I read the expiration date of February 1, 2013. Seriously… if I drank all of this coffee my family wouldn’t want to be around me. 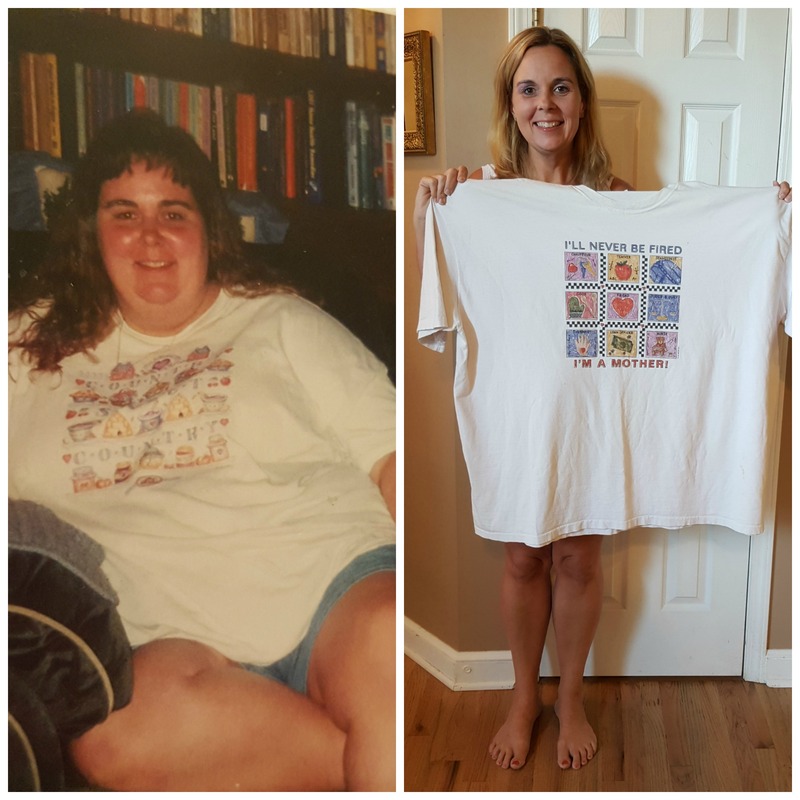 Sooooooooo… I thought I would share these with my readers! So here’s the story. This is a FLASH GIVEAWAY meaning it closes very quickly. I will pull 4 winners to receive 2 sheets of coupons each with 1 free small McCafe Peppermint Mocha or Peppermint Hot Chocolate and 1 free small McCafe French Vanilla Latte… so you are winning 4 FREE cups of coffee! Winners will need to respond within 24 hours so I can pop them in the mail this weekend so you have a little bit of time to use them. Got it? Ready? Great! If you could take one little second to click through the Top Mommy Blog banner that would be fabulous. If you don’t feel like it, oh well…. head on to the entries then! I’m making this super simple to enter because it is a thank you to everyone for following me! 1) One Free Entry : Leave a comment below telling me one thing (not a thanks for the giveaway) that you like about OurKidsMom.com. 2) One Free Entry : Leave a comment below telling me one thing (not more giveaways) that you would like to see more of on OurKidsMom. Be specific… for example: more baby equipment giveaways. 3) One Free Entry : Leave a comment below if you are a follower of OurKidsMom via Facebook. Rules:You do not have to be a blogger to enter/win. An email address is required to enter. The winner will be chosen randomly through Random.org and contacted via email. A reply to the winning email is required within 24 hours before a new winner is chosen. One person entering per household please. US ONLY please. This giveaway ends at 11:59 PM EST on January 18, 2013. Of course- I love the giveaways! I would love more baby item giveaways- like car seats, travel cribs, diaper bags, swings, etc! I love all the recipes that you post! Also they layout of your page, it’s very easy to get around on! 🙂 And of course I love all the reviews/giveaways that you do!!! I would like see more household item giveaways!!!!! I love your site.. we have 4 kids and love your DYI section!! Diapers! Coupons, sales, reviews, giveaways! I like reading Our Kids Mom.com for the reviews on the products and as mothers just things in general we can relate to! Thanks! I love how I can count on your site to give me the best deals! I am a facebook follower, that’s how I found out about this giveaway. Thanks! I love the Sunday Soup receipes. Perfect for cold, snowy NY. I like all the recipes and that you post about your family and not just only giveaways! Would love to see More everyday family pictures! 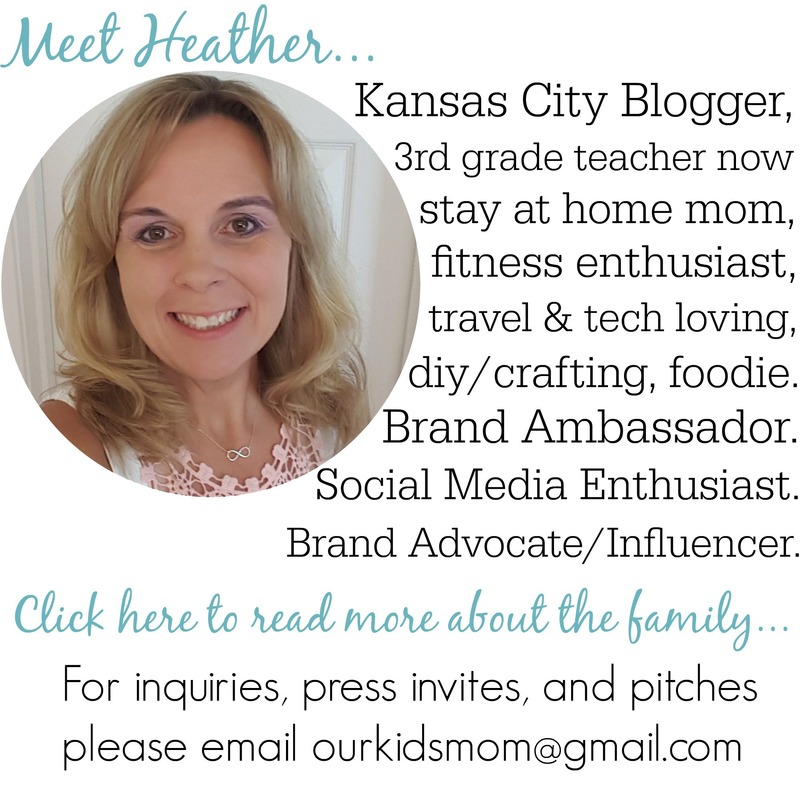 I love the variety of content on ourkidsmom, and the giveaways, too! Thanks for the chance to win! I like websites with organization and craft ideas, so maybe some more of those types of posts. Also, I am always on the look out for giveaways for items for boys. i will add you. new to this website! I luv how easy I can click on the buttons. thx. i love the recipes on this site! I love the giveaways and the craft ideas the best. I would like to see more of organizing ideas. You know how to hide all the stuff. Yes, I following you on FB. Love McDonalds use their free internet daily and eat there daily. I like all the contests and the travel posts. More Amazon GCs – that way I can get what I need. I love the giveaways most. I love that I have actually won, although it has been a long time. I would love to see more gift card giveaways. Restaurants are great because it is not in our budget to eat out much. Thanks! I like how organized your blog is. I like that you have all kinds of different giveaways and I enjoy the recipes. I am a follower of OurKidsMom via Facebook as Jennifer Hedden. Where do I start? I love your recipes. I have so many wonderful reviews on the meals I have made from your Site. I love the giveaways! And I have learned many things on your site like the one about cutting your electric bill down. I didn’t know that the cell Phone chargers still charged whether your phone is plugged in or not. Thanks! I really like the home equipment giveaways. Like the humidifiers, Paints, wall decals, My Pillow stuff & etc. I like that your site is easy to read and easy on my eyes. It’s not overcrowded with bright colors/background patterns. Leave a comment below telling me one thing (not a thanks for the giveaway) that you like about OurKidsMom.com. i follow on facebook..hurry im thirsty! I like all the recipes that you post! I use the a lot. Thanks! I would love for you to have more children’s toy giveaways. Thanks! I have been following your blog for awhile, and I like everything. The recipes are always good. I would love to see more recipes….always up for new recipes!!! I like the travel reviews and the recipes. As a foodhistorian, I have to admit- first thing I look for on any blog are the RECIPES, and yours are quite exceptional, I might add. While I do like the giveaways, I also like the Sunday soups. I never make recipies because they look so hard most of the time but these look very easy! I love your honest reviews! I would love to see some crafty ideas or even recipes…. and giveaways for learning games! I like the recipes that you post on your site. I would like to see more kid friendly recipes and small appliance reviews/giveaways. I LOVE your soup Sundays! My family eats quite a bit of soup in the cold winter months. We love trying new recipes. I can always count on finding a great recipe here! Thanks! I have enjoyed your blog. I have learned so much from reading the reviews of new products to try. Of course I love the giveaways but I like the soup recipes as well, my husband just loves soups! I like the Recipes and Do-It-Yourself section! I like the Recipes and Food section too! I like all the giveaways you have. 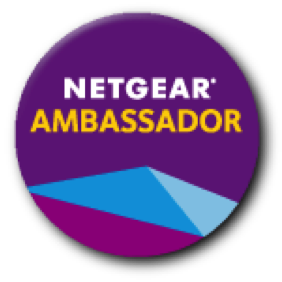 I love the reviews..I have discovered so many neat products! I like the recipes that you post! I love the layout and the graphics. I however, do have a problem with the comments…whenever I am here I usually have to put a comment in several times for it to take. Have no idea why. I’d love to see more giveaways geared toward men or older male teens. I feel like they get left out some in a lot of giveaways on blogs. I love how you list your giveaways on the side! Makes them easy to find! I like recipes and giveaways! I would like to see more deals.. where we can save some money! like Amazon flash sales. I love saving money! I love your clean eating tips! i really love the reviews and giveaways. I would love to see more Amazon gift cards or coffee reviews. I like your home makeover section, especially one that you did on a faucet recently. I’ve been searching for a design and was able to get a very similar one like the one you had shown. I’d love gift card giveaways like Walmart, Amazon, iTunes and the like! I come to your site for the recipes!! I’d like to see more financial articles. I like how you have great reviews of products I am interested in. Thanks for the chance to enter. I would love to see more kid friendly foods. Thanks for the chance to enter. I love all of the recipes that you post! i enjoy reading your reviews and i love the giveaways!!! I like the assortment of reviews you have. I like your giveaways and reviews! i’d like to see more craft posts! I really appreciate your clean diet recipes. I enjoy SHAPE magazine and their push for clean eating. I’d like to incorporate more into my life. I’d like to see more crafts… both mommy projects and stuff to do with the kiddos. I like the great recipes that you share. I would love more Amazon gift card giveaways. I’m brand new to the blog, but love that you have a section on “clean eating”. I’m looking forward to checking out your blog. I am a follower of OurKidsmom on Facebook.